With a daily backdrop of diverse architecture and a prettily flowing river, the city of Porto is nothing if not captivating. So what’s more indulgent than staying in a hotel that exudes magical beauty? 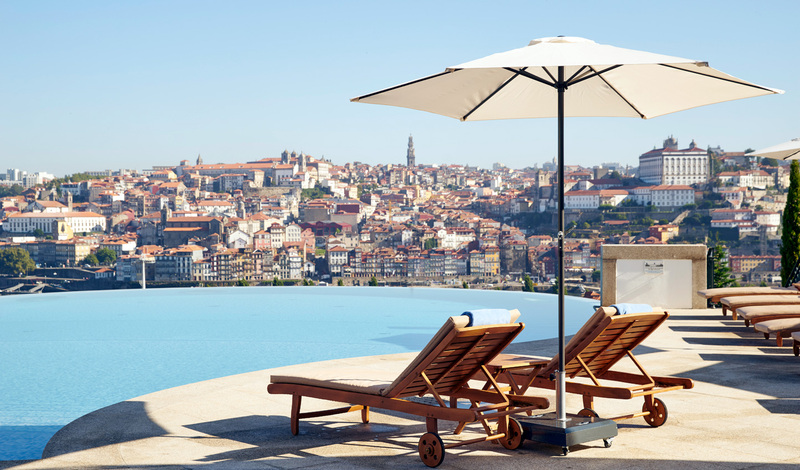 The luxurious Yeatman is a grand hotel perched on a hilltop in Vila Nova de Gaia, overlooking the River Douro. Knock back some Port and enjoy the stunning surrounding landscape as you settle into this luxury abode. 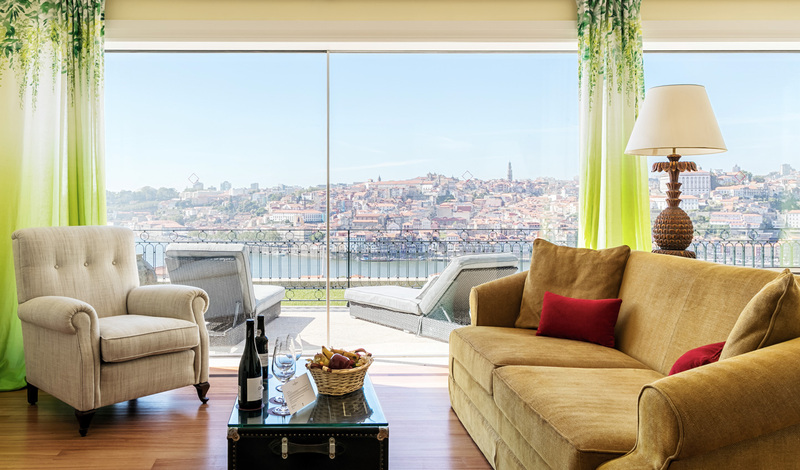 Just a 40 minute drive from Porto Airport, the Yeatman hotel is set high above the River Douro overlooking Porto. A short walk will bring you to the grand Se do Porto cathedral and with the subway station a mere ten-minute walk away, you are in prime position to partake in many of Porto’s cultural sites and experiences. A stroll down the lively riverfront promenade of Cais de Gaia at sunset is the perfect way to end a day. The 109 spectacular rooms and suites at The Yeatman are each designed to be the height of comfort and luxury. Whether you opt for a room or suite, every one is equipped with a large private balcony offering spectacular views of the city. Designed using warm hues and soft textures, the rooms have a stylish sophistication coupled with a laid back vibe making them perfect for any traveler. The spacious sanctuaries come complete with beautifully marbled bathrooms and elegant furniture. For honeymooners, the lavish Bacchus Suite comes equipped with a deep soaking tub that overlooks beautiful Porto, so you can enjoy the city whilst you soak away. The luxurious spa is one of the many reasons why we love the Yeatman. Offering barrel bath immersions and soothing shower massages using naturally sourced products, the award winning spa is a haven of tranquillity. With floor to ceiling windows giving panoramic views of the city that can be appreciated whilst you do laps of the spa pool, it’s no surprise that the Yeatman Spa is a Black Tomato favorite.